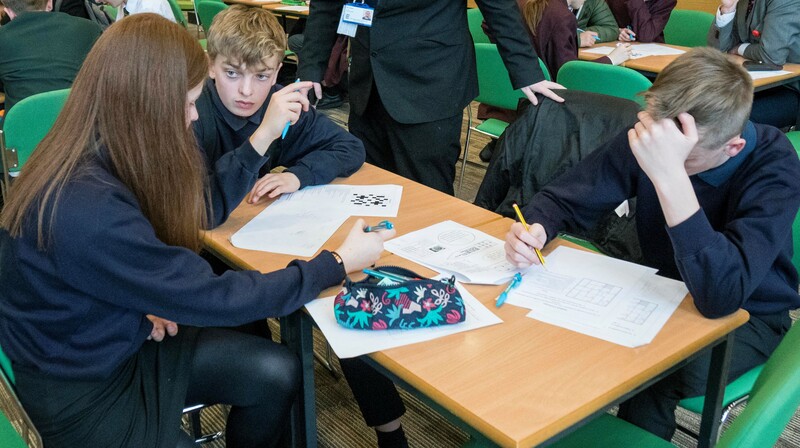 On Friday 22nd March 2019, six students visited Newcastle College in Staffordshire to compete in ‘Maths Mayhem’ against other local schools. 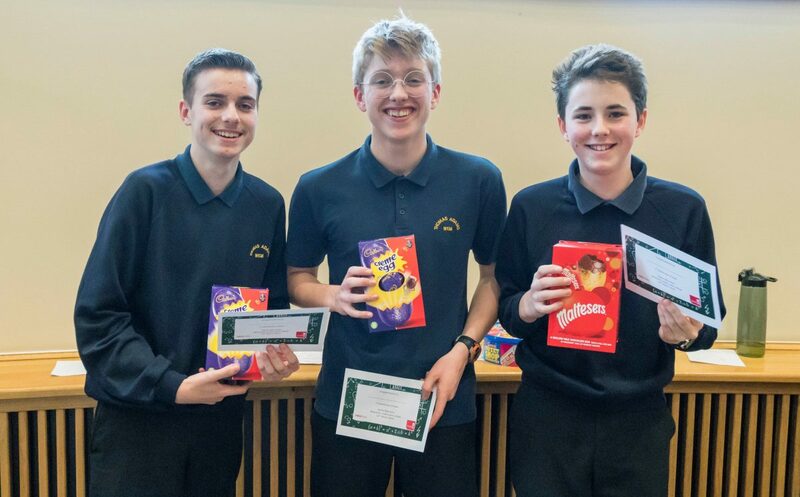 The annual inter-school competition was hosted by Newcastle College and ran in partnership with Staffordshire University trainee maths teachers. Students competed in teams against one another for points in a series of maths based challenges, designed to test students knowledge and understanding. Students took part in maths challenges in four rooms; Who Wants to be a Mathionaire, Puzzle, Relay Race and Padlock Challenge room. Year 9 won, beating the Year 9 teams of all the other schools and Year 10 came second. The combined scores of both year groups made Thomas Adams the overall winner!! Congratulations to Ben, Luke, Emily, Connor, James, William and Mr Naden, a fantastic achievement!